A gentle nudge from my spectacular agent, Vanessa Grossett, of The Author’s Care Services, Ltd. has prompted this post. A few years ago, I sat down to drivel a few words at a time on this virtual page. The first couple hundred posts served mainly to fan the flames of my life-long desire to write, and to write well and to write for Jesus and to write to be read. It’s been a slow process, perhaps because I’m reticent to take many risks, but eventually, I took a few classes, polished my writing, learned how to manage a blog and as I was faithful with this tiny speck of cyberspace, God brought readers. Then, I joined FaithWriters, and through them discovered numerous outlets for these words smoldering in my heart. 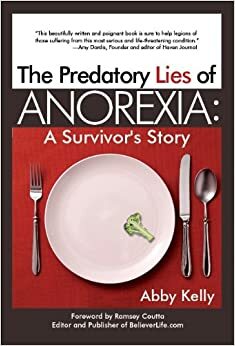 Now, I have authored 2 books, one a memoir, The Predatory Lies of Anorexia: A Survivor’s Story, and a 6-week, in-depth Bible study, Beyond Belief: Jesus Saved You, Now What?, due out on June 3, 2015. Additionally, God has broken open the doors of Heaven and blessed me with a new avenue in which to serve Him in the writing world. I say this now with David! Indeed, who am I? My Father has taken my writing beyond my dreams – beyond the tear-splotched pages of my journals, beyond sappy poetry in birthday cards, beyond Predatory-Lies, beyond … and then given me more.